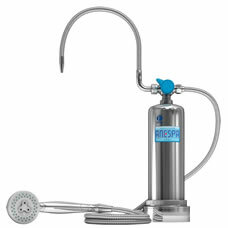 The ANESPA removes chlorine from your shower and bath water. Its dual cartridge system contains therapeutic ingredients that have a relaxing hot spring effect. The water is broken down into smaller clusters which makes it easier for your body to absorb the healthy and clean ANESPA water.